Khalida Jarrar is a senior lawyer for the Palestinian Liberation Organization (PLO), and she was elected to the Palestinian Legislative Council (PLC) and is one of the three deputies for the Popular Front for the Liberation of Palestine (PFLP). The PFLP is a Marxist-Leninist organization that is the second largest group in the PLO. It considers the Israeli government in the West Bank and Gaza strip illegal due to the lack of elections for Palestinians, and Israel, the European Union, Canada and the United States have designated the PFLP a terrorist organization. One may ponder the extent of such an order’s effectiveness, when Jarrar can carry out her public activity via the media. She is permitted to meet activists who come to her home and express her positions on the Internet. It would not be groundless to state that the restraining order was meant to deter her from her public activity and punish her for it, rather than to prevent terror attacks. But Jarrar apparently dared to violate the foolish order and for that she is being punished now with administrative detention. This is how Israel seeks to deter every Palestinian public activist — not to mention one involved with advancing the processes in the International Criminal Court — from realizing his or her rights. Jarrar was released in December 2015, before being arrested again in July of 2017. This was due to an alleged offense related to national security, and it allows Israel to continue their undemocratic practice of indefinitely issuing six-month detention orders. Israel says that the goal of indefinite detention is to allow authorities to hold suspects while gathering additional evidence, which theoretically prevents attacks in the meantime. According to the Addameer rights group, Jarrar is one of 6,150 Palestinians currently in Israeli jails. For centuries, Jews have been the victims of various apartheid states, and the establishment of Israel was supposed to be our light at the end of the tunnel. It is, but so is New York City (Israel and the United States account for around 88% of Earth’s roughly 15 million Jews). The major stress point for all conflict in the Middle East is Israel’s subjugation of the Palestinian people. It serves as the ultimate symbol for how Western empires have fractured the entire region. 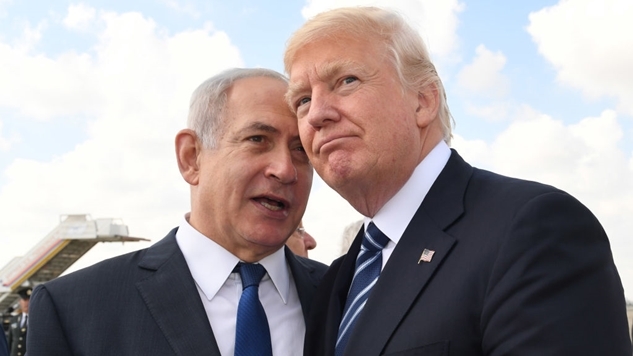 Bad actors like Iran fuel the fire, and insert weapons in to an already chaotic situation—giving Israel an excuse to wage eternal war. Instead of searching for a diplomatic solution to this seemingly intractable issue, the Israeli government takes the bait, and launches perpetual warfare on “terrorists.” But when you parse through the wreckage, you find that their apartheid policies disproportionately hurt civilians more than those who have taken up arms against the state. One such example: the Israeli government successfully lobbying Facebook to delete accounts of Palestinian activists. Looking at Israel from a Jewish perspective is beyond deflating, as the famed line from The Dark Knight is fitting: “you either die a hero, or live long enough to see yourself become the villain.” The story of the Jewish people is similar to the heartbreak Israel is putting the Palestinians through, and the irony seems to be lost on the Netanyahu government. Indefinite detentions, elections without representation and forcing people from their homes is not what my ancestors wandered the desert in search of, yet here we are. The shining symbol of a persecuted people has become the face of evil to another subjugated population.